This might be the best 17 minutes you've ever spent. Satellites collect hours and hours of data that, when visualized, tell an incomparable story of our world and how it works. NASA satellites collect data to tell the world's richest story. This story helps us understand our world and how it works. NASA video gallery has many more such tales for you to enjoy. As you’ll see in this jaw-dropping data visualization, US National Aeronautics and Space Administration (NASA) satellites tell a story like nothing you’ve heard. By converting data into visualizations, NASA broadens our perceptions of Earth, the sun, and our traveling companion, the moon. Show & Tell with NASA. 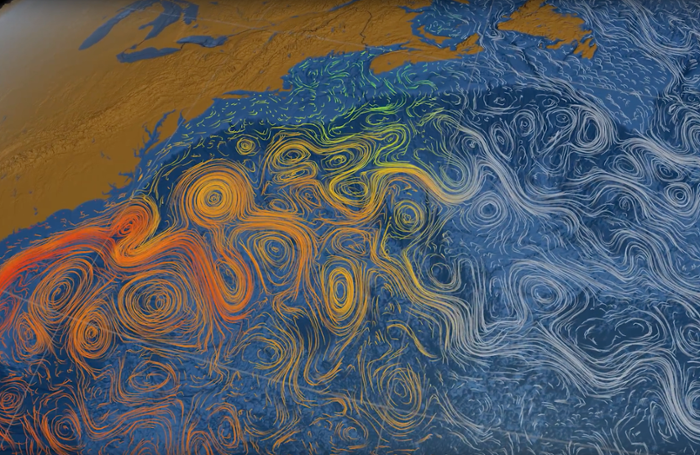 This visualization runs about 17 minutes, and is best viewed in Ultra-High definition (4K) video. NASA has a lot more where this came from. Browse their video gallery here. Courtesy NASA; Goddard Space Flight Center. Some of NASA’s satellites focus on Earth, revealing details inaccessible from the surface. Other satellites look beyond, mining the cosmos for visions the ancients could have only dreamed. This is applied science on the largest scale. NASA’s tools are, of course, some of the most complex humanity has devised. The skills required to create them and then to decipher their messages are among the pinnacles of human achievement. What these tools deliver is nothing less than a breakthrough in understanding our world and how it works. Our senses may be our first guide to the natural world, but they cannot tell us everything. That’s where NASA comes in.